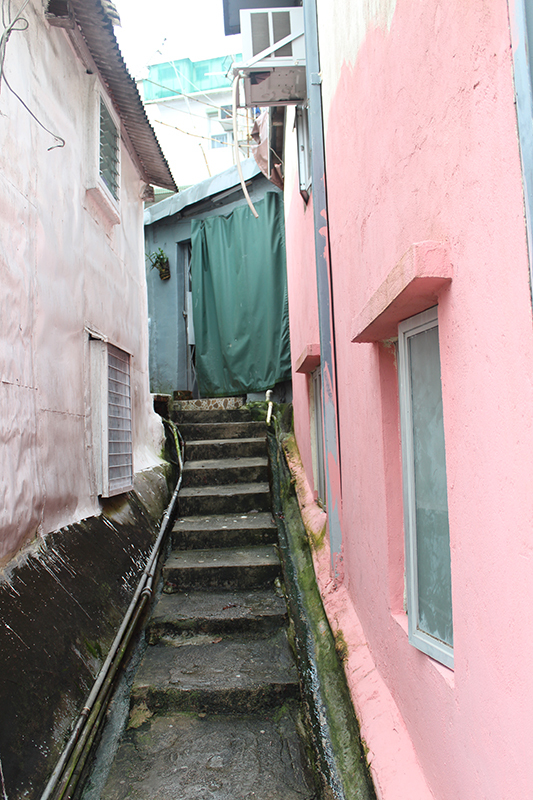 Walking through Pokfulam village, one can easily be attracted by the narrow passage there. The passage includes corridors and stairs. 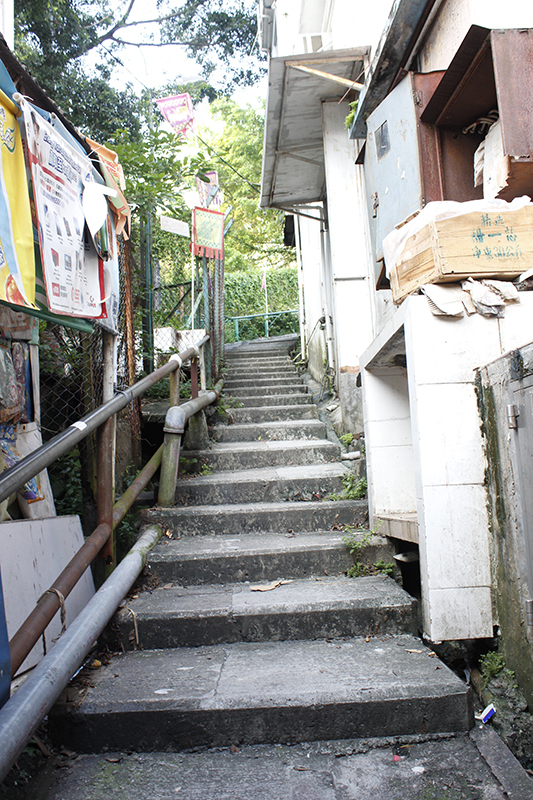 One of the features of the passage is narrowness. 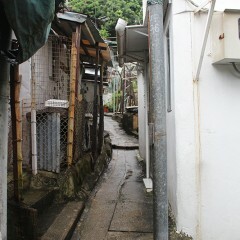 The passage is so narrow due to the high density of the houses in the village. When we look at the passage, sometimes we can only see the turning but not the end of the passage. The passage is a pedestrian link which form a whole system of public space. When we look at the passage, we can be reminded of the spatial arrangement of Pokfulam village. It represents the high density of the village. The houses are closely packed in the village. 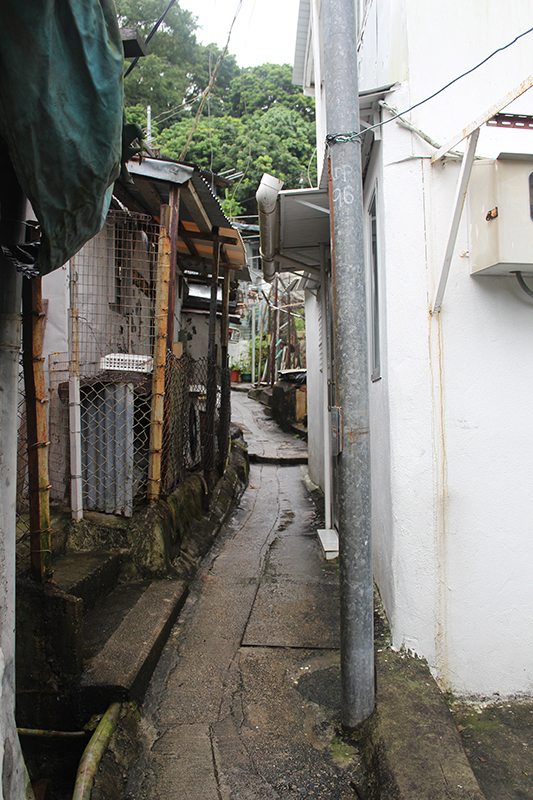 As we can see in the pictures, the passage is just like a gap between two private houses. The passage is so narrow that it seems it is not for people to pass but just a gap for separation. 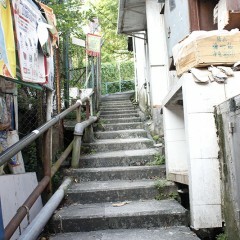 It separates the private space of villagers. However, at the same time, passage seems a kind of community linkage that links between the public space and the private space. 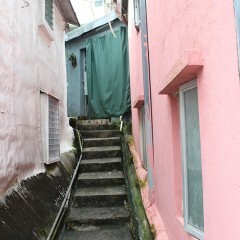 The passage is public space but it leads to the private houses. Since the bonding between villagers are very strong, the ground floor of their house are usually open to public to form a semi-public space. So the ground floor of the entire village seems to link up to become a large plot of public space. In this way, passage serves the purpose of linking up the originally private space and public space to strengthen the community bonding. Although the passage seems so dark and dangerous, but when every house is beside the passage, it becomes a public surveillance. The passge becomes very safe because it is community space. How does the passage affect community bonding?